We’d love your help. 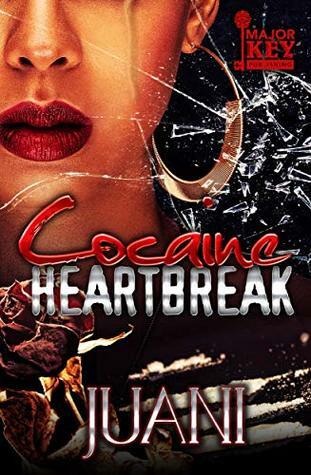 Let us know what’s wrong with this preview of Cocaine Heartbreak by Juani. Ain’t nothing but a heartbreak is what twenty-five-year-old Ariel Sweeny keeps telling herself when it comes to her boyfriend of the last five years, “Trouble.” He most definitely lives up to his name, causing trouble everywhere he goes. He’s trouble in the streets, and most importantly, he has trouble keeping it in his pants. Even still, Ariel loves Trouble down to her so Ain’t nothing but a heartbreak is what twenty-five-year-old Ariel Sweeny keeps telling herself when it comes to her boyfriend of the last five years, “Trouble.” He most definitely lives up to his name, causing trouble everywhere he goes. He’s trouble in the streets, and most importantly, he has trouble keeping it in his pants. Even still, Ariel loves Trouble down to her soul and can’t imagine her life without him in it. To ask other readers questions about Cocaine Heartbreak, please sign up. Omg this story was sooooo good. I knew his lie was going to come back on him. Men never learn and side chicks always bitter.